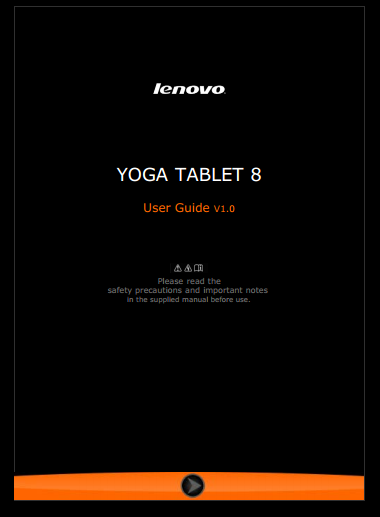 The Lenovo Yoga Tablet 8 Manual very important because provide many tutorial or information for example about setting guide the tablet. This tablet comes with main specs and features such as powered by MT8125/8389 Quad Core 1.2GHz processor, run on Android 4. 2 JellyBean operating system, 8” HD display, 1GB LP-DDR2 memory, available 16GB/32GB eMMC, support 64GB micro-SD, and equipped with 5M Rear Camera.